I have a confession to make. I love subscription boxes. I’m a bit of a subscription box groupie. I just love being able to try a variety of new things and being surprised each month as they are delivered to my doorstep. This box arrived today, and I was over the moon. We’re coming up on TEN YEARS since leaving the island and I miss it fiercely. Sometimes with an ache that is very fresh and sharp, like we left last week. Watching YouTube videos from Cooking with Dog helps. Cooking favorite meals and eating snacks helps. I know our chances of living in Japan again are very slim, and with a lot of the things going on in our lives here, that chance has gotten tremendously slimmer. So I can open this box, snack, reminisce, and dream. It’s a box full of delicious chocolate, corn snacks, Pocky, gummies, cookies, candy and even a packet of dried fish strips and a kiwi soda. It’s everything I love about Japan; color, variety, uniqueness, and simple indulgences. 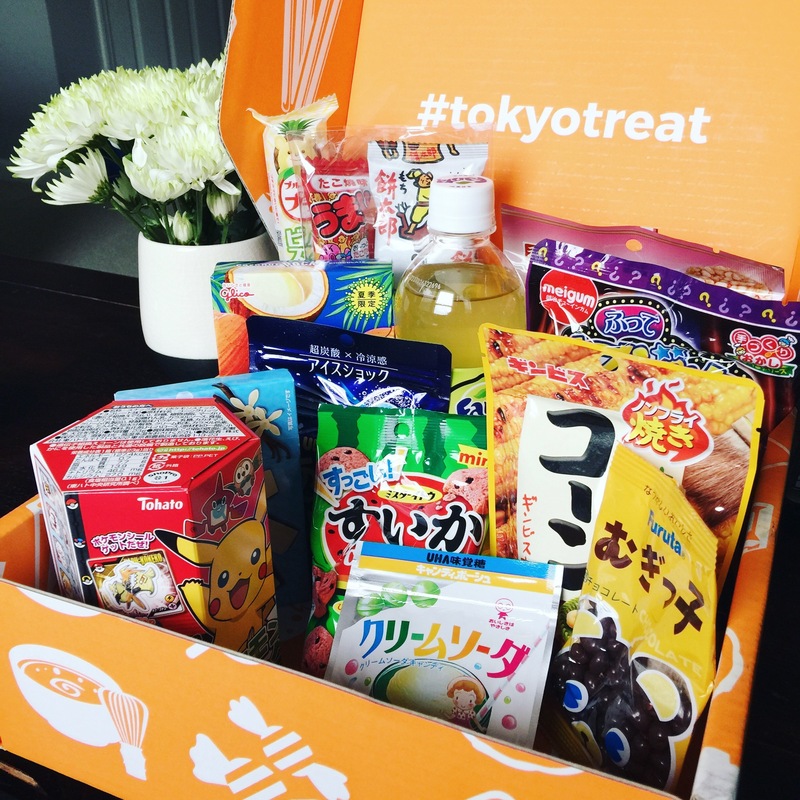 Visit www.tokyotreat.com to set up a subscription for yourself. You won’t regret it. Use code PIKACHU for $3 off your first box. Then let me know what you think. I’m also thinking about expanding my blog to include food and finds…what do you think? Is it something you’d like to read about? Thank you for sharing this information. I would LOVE to hear about all kinds of new experiences via recipes and subscription boxes. I LOVE Cooking with Dog, thanks to you! Cooking with dog threw me off when I first saw it, but it’s got such an eclectic Japanese side to it that you got to watch it.